Create an L-shaped loop in one end. 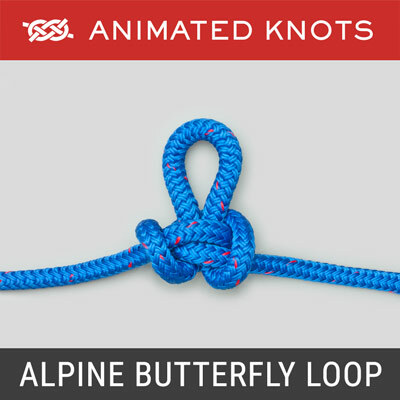 Pass the other end through this loop to create a second interlocking L-shaped loop. Hold the outer sides of these two loops and pass them down through the diamond shaped hole in the middle. Pull the two loops away from the ends and the large loop and tighten carefully. Origin: The Fiador Knot is described twice by Ashley (ABOK # 1110, p 201 and # 2569, p 413). He also describes how the Spanish name "Fiador" became corrupted to "Theodore" after Roosevelt visited the Southwest at the end of the Spanish-American War. 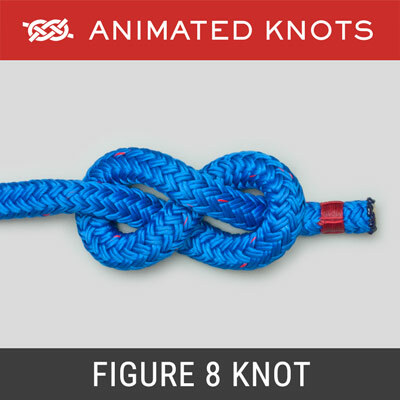 The Fiador Knot is used as a component of a rope halter or hackamore (animal headgear) used in some styles of horse riding. Tying it: This is one of the few examples where Ashley's descriptions fall short. 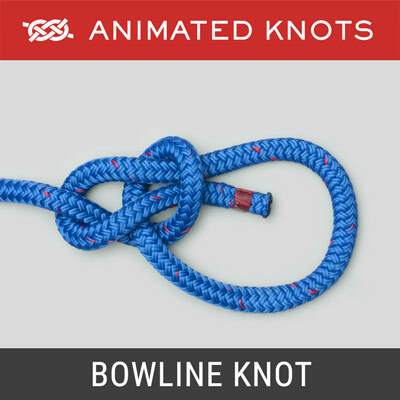 Neither the diagram nor the description provide a sound basis for learning to tie the traditional Fiador. 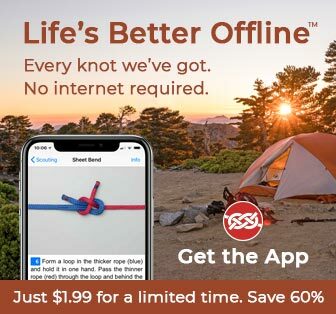 This is surprising, because immediately adjacent there is an excellent diagram for tying a "somewhat larger" Double Loop Knot (ABOK # 1109, p 201). This diagram can be used to tie the "Symmetrical Fiador" shown in the final frame of the Animation. 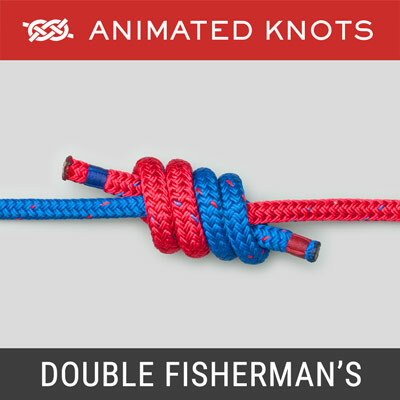 Precursor Knot: Cowboys supposedly collected a fee for tying this difficult knot. 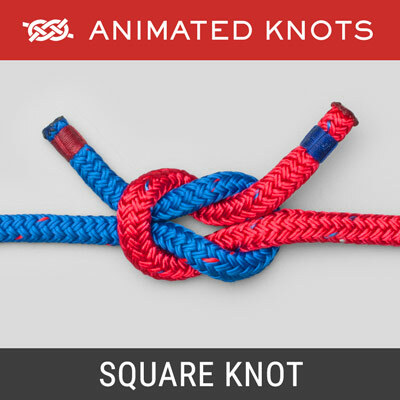 However, as shown in the Animation, a precursor knot can be created and then converted to the Fiador. The arrangement of this precursor, the choice of loops to be pulled, and the direction of pull through the center are all critical. Different Ends: When completed a ring of diamond lacing apparently surrounds four strands passing through the ring's center. At the "Tight" end of this ring the four emerging strands are tightly embraced together; at the "Loose" end each strand emerges under a separate turn. In the Animation, the Tight end will surround the pair of loops. 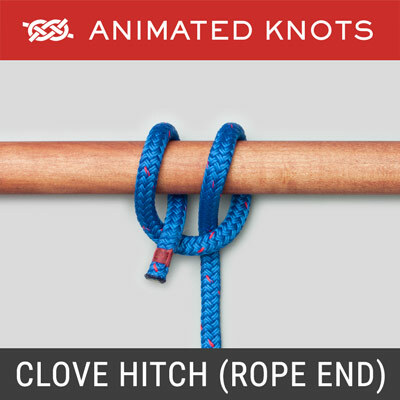 However, for a halter, the reverse orientation is preferred with the Tight end embracing the large loop and the ends because this reduces the tendency for the strain to open up the knot. Choices: The animation shows the outermost part of each loop being pulled "down" through the central diamond. However, the version preferred for a halter is produced by instead passing the two ends and the large top loop "up" through the diamond. Warning: passing the loops "up" or the ends and large loop "down" only produces a mess. Capsizing the Ring: If the ring is slightly loosened it can be opened like an umbrella, turned inside out, and tightened facing the opposite direction. This allows the version produces in the animation to be converted for use in a halter. Alternative: A very similar precursor can be made with every crossing changed, i.e., over for under and vice-versa. With this version, the two outer loops must be passed "up" through the diamond or the ends and the large loop "down". Traditional vs. Symmetrical: The final frames of the Animation show the two principal options for making the Fiador precursor. The first is not radially symmetrical. However, it is the most suitable for use in a halter because the large loop over the head is made of two strands which emerge adjacent to each other. The second version is pleasing as an example of radial symmetry only.